Communities thrive with good design. This year marks the 15th anniversary of AIA Pittsburgh’s continuing education conference. 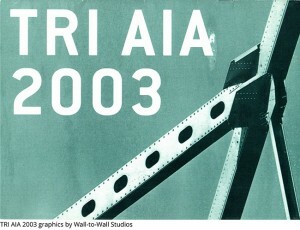 What began as Tri AIA morphed into Build Pittsburgh within the first few years, and has been growing and evolving ever since. In 2007, the conference moved to the David L. Lawrence Convention Center, giving sponsors and attendees alike more space to spend the day learning and networking. 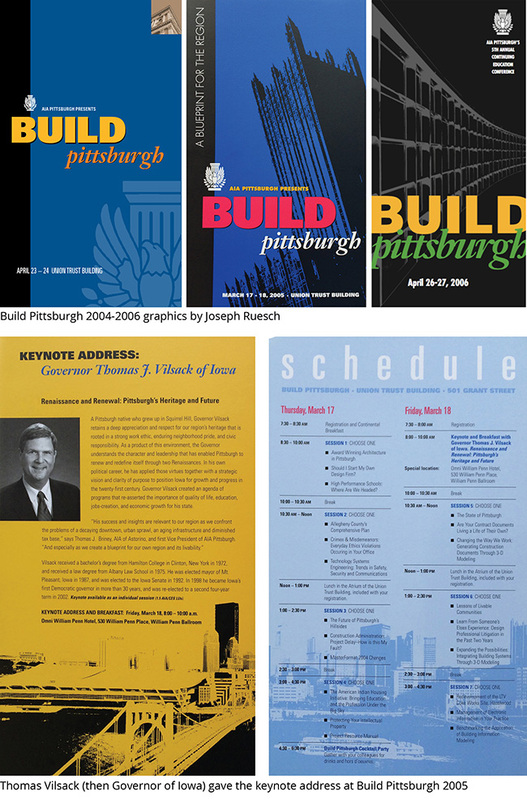 The first “themed” conference emerged at Build Pittsburgh 2005 with “A Blueprint for the Region” where then Iowa Governor Thomas Vilsack (a Pittsburgh native) delivered the keynote address – Renaissance and Renewal: Pittsburgh’s Heritage and Future. The importance of branding each conference with an annual theme was set permanently in 2009. Facing a severe downturn in the economy that was directly affecting the profession, the theme for Build Pittsburgh 2009 was “Opportunities in Architecture for Challenging Times.” AIA Pittsburgh wanted to present topics and tools that recognized the needs of the local architectural community and to positively impact the region’s practitioners during a difficult economy. The positive feedback from 2009 was overwhelming, and moving forward, themes continued to arise, tied to timely issues in the profession. 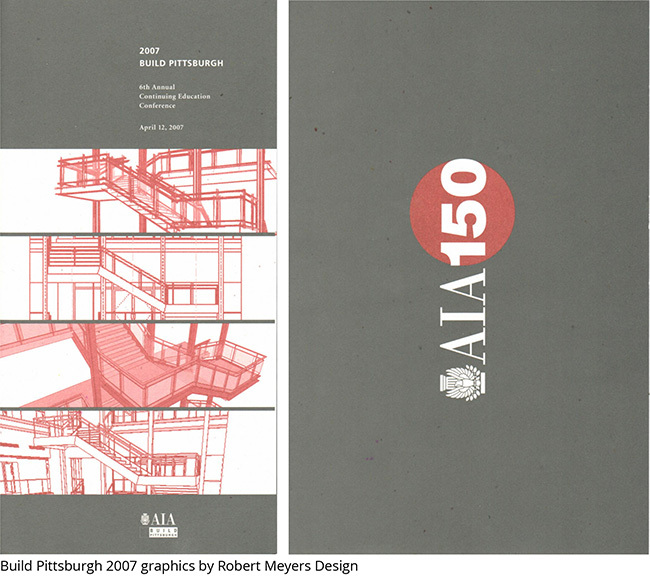 Here is a look back at how our graphic designers have treated Build Pittsburgh materials over the years, and how the themes influenced those designs.